Welcome, and thank you for considering a career at Greenwich Academy. At GA, we are dedicated to helping all of our students develop the habits of mind that will empower them to live lives of purpose. Our motto, Toward the Building of Character, inspires everything we do—whether it is in our classrooms or art studios, on the playing fields or stage, or in our local or global community. Our shared goal is to help our students prepare for lives that will make the world a better place. Begun in 1988, the Lower School Associate Teacher Program at Greenwich Academy is a model for independent schools across the country. The two-year program offers interns individualized attention and rigorous training in the elementary classrooms at the school. You will find additional program information here. Greenwich Academy welcomes one- and two-year Middle School and Upper School Teaching Fellows in a program that includes housing, benefits, and financial support of graduate study. 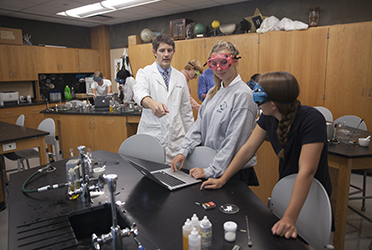 In any given year, Greenwich Academy supports Fellows in nearly every academic department. Fellows enjoy the professional support of both academic and administrative mentors. With a modified teaching schedule, Fellows are able to take full advantage of other aspects of campus life, and many coach, serve as advisors, and support student publications or clubs. Mentors offer periodic observations, bi-weekly meetings, and professional development opportunities in a collaborative setting. Fellows who wish to pursue graduate work during their time here are encouraged to do so, and will receive financial support from Greenwich Academy. Recent Fellows and new teachers have participated in graduate study at Middlebury’s Bread Loaf School of English, Columbia University, Bank Street Graduate School of Education and Manhattanville College. Greenwich Academy is a member of a small consortium of independent schools in the University of Pennsylvania’s Day School Teaching Residency Program. Greenwich Academy Teaching Fellows who participate in this program pursue a two-year Master of Science in Education (M.S.Ed.) at Penn during their tenure. This program, which provides an innovative curriculum taught by a combination of Penn’s Graduate School of Education faculty and senior administrators from cohort schools, is designed to attract and train some of the most promising new and aspiring teachers. The majority of our Penn Fellows’ graduate school tuition is covered by Greenwich Academy. Click here for more information about the graduate education component of this program. 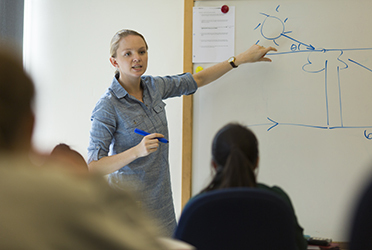 If you’re interested in being considered as a Greenwich Academy Teaching Fellow, apply now. In keeping with the school’s motto, “Toward the Building of Character," Greenwich Academy affirms and respects the individuality of all members of the community. The school’s ultimate goal is for students to develop the confidence and compassion to interact freely and authentically with people who represent a rich variety of backgrounds and beliefs in terms of race, ethnicity, culture, religion, socioeconomic status, sexual orientation, and family composition. All members of the Greenwich Academy community—students and alumnae, faculty and staff, parents and trustees—are expected to honor and value the school’s Diversity Mission Statement.